When you hear about food these days, it seems like it’s all free-radicals-this and antioxidants-that. It’s enough to make you want to go ahead and just take up a pack-a-day habit and start hammering down cheap beer until cirrhosis and cancer decides to just go ahead and take its toll on you. However, don’t give up quite yet. Even if you don’t actually put those antioxidants in your body, you can at least trick yourself into thinking you are with this delicious cocktail meant for the New Year (or perhaps the day after). Combine the ingredients in a cocktail shaker, shake well and strain into a chilled cocktail glass. 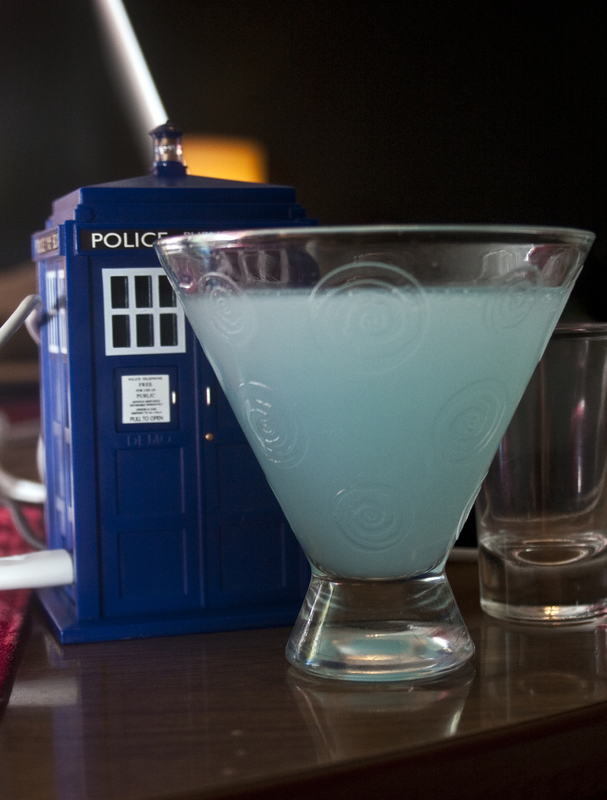 The cucumber flavor from the vodka plays off perfectly with the Hpnotiq.